A record of my journey around South Wales. In Cambrian Place, Swansea another example of the Palazzo style , called Pembroke Buildings. Again 3 storeys with 5 bays. However unlike the others in Aberdare and Cardiff this has a portico to the main entrance. Designed by architect H C Portsmouth the building has Portland stone below and Bath stone above. Early twentieth century. According to Newman, the most complete C19 terraces to survive in Cardiff (p217). Although not built until the mid nineteenth century these buildings have a strong Georgian feel with their beautiful red brick façade. Period features include the prominent cornice below the plain parapet, tall ground and mid floor windows and string course between them. Perhaps less characteristic of the Georgian style are the raised mouldings around the windows. The campus of Swansea University contains an interesting array of buildings covering 200 years of architecture. The oldest structure, built-in 1784, is Singleton Abbey which was purchased in 1817 by John Vivian. As owner of the copper smelting works at Hafod, his family provided Swansea with one of its main industries in the nineteenth century. Vivian altered the house in the 1820's so that it followed a Tudor neo classical style. Note the mullion and transom windows, the polygonal buttresses and creatures scrabbling about on the gables. In 1921 Singleton Abbey became the administrative centre of the then new University College. The first permanent university building was the library opened in 1937, made of brick with Portland stone. It has certain classical elements such as the cornice and frieze and the simple geometry of the windows. (It obviously lacks other classical features such as columns). Because of the war, work stopped on the campus and the next set of buildings were not constructed until the late 1950's. These include the Natural Science building, completed in 1961 and which is now listed. Although moving further away from classicism it echoes the library in its shape and colours of the window surrounds and brickwork. Designed by the same architectural firm of Percy Thomas the Fulton building is another grade II listed building. With large expanses of glazing it is built around a concrete frame and faced with brick. Opened in 1984 the Taleisin theatre and art gallery continues with the brick but the shape is polygonal and utilitarian. 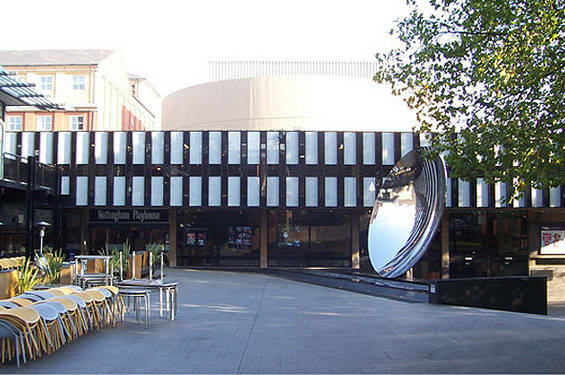 It was designed by Peter Moro who is famous for other theatres such as the Nottingham Playhouse. Moro came to Britain from Germany and worked for 2 years under Berthold Lubetkin, a notable modernist architect. He went on to work on the Royal festival Hall and designed other theatres in Hull and Plymouth. Following on from the previous post of the old NatWest bank in Cardiff, this is another bank built in the palazzo style, but this time in Aberdare. The proportions are similar with three stories and five sets of windows on each floor and was built in the same year, 1857. Unlike the Cardiff bank, this building has a façade of imported stone with Bath stone ashlar and grey Newbridge stone. This bank was designed by Bristol architect, William Gingell who co-incidentally worked with T R Lysaght, the architect who designed the Cardiff building. Described by Newman (1995) as a five bay Palazzo front designed in 1857 by Thomas Lysaght. Probably influenced by the English architect Charles Barry who helped revive interest in Italianate architecture during the early Victorian period. Palazzo basically means like a palace or grand residence typically found in Venice. The quoins (cornerstones) and arches of the windows are heavily vermiculated. Vermiculation refers to the wavy patterns on the quoins and arches that appear to be like worm casts. The key stones for these arches are taken by occupied by dramatic bearded heads. Corrugated iron first patented in 1829 soon became the material of choice for prefabricated buildings throughout Britain and the Empire. By the 1850's specialist companies produced catalogues advertising a wide range of buildings for use in farming, mining, railway and manufacturing industries as well as residential cottages, village halls, boat houses, billiard rooms and churches and chapels. Corrugated iron buildings provide us with a reminder of the speed of the industrial revolution, with fluid labour markets willing to travel to find work, causing massive social change. As a result settlements near the new industrial centres needed buidlings that could be quickly and cheaply erected. Buildings like this church would have been delivered to the nearest railway station and erected using relatively unskilled labour. This church, from 1888, was built around a timber frame and lined with timber tongue and groove boards for the walls and ceiling. It cost £254 to build. The only indicator from the outside that this is a religious building is the use of arched lights in the upper part of the wooden windows on the side walls. 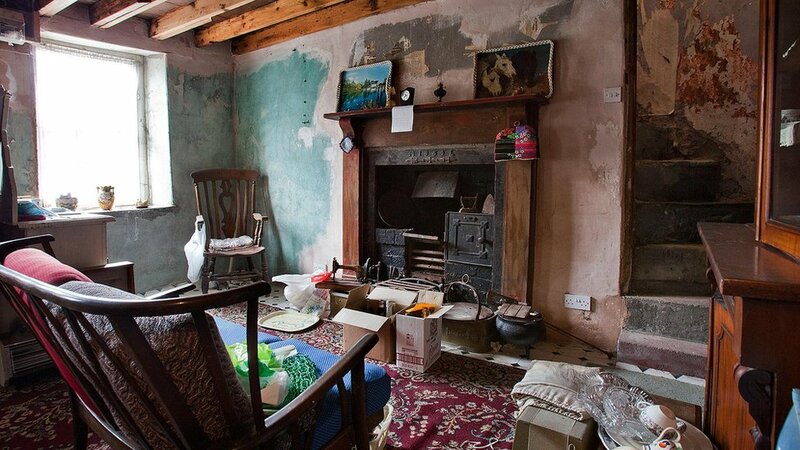 Last year one of the last unmodernised south wales valley cottages was bought by Cadw. 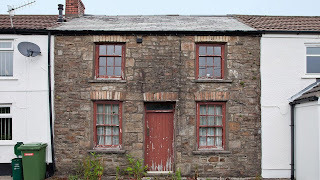 Situated in Cwmdare, the house has its original windows, slate roof and range. Dating from 1854 the building has a certain charm, you can clearly see the construction of local stone with large dressed corner stones and rubble infill. The well proportioned sash windows are topped by shallow arched brick lintels and the cills are made of slabs of stone. The front door is also very plain and honest in its construction. The roof is slate and the chimney stack survives. Many people recognise the importance of listed buildings and conservation areas and understand that care must be taken to ensure that traditional materials are used in their repair and maintenance. However, many of buildings in the south Wales Valleys have suffered decades of alterations which mean the distinctiveness of our Valleys towns is at risk of being diluted or lost completely. 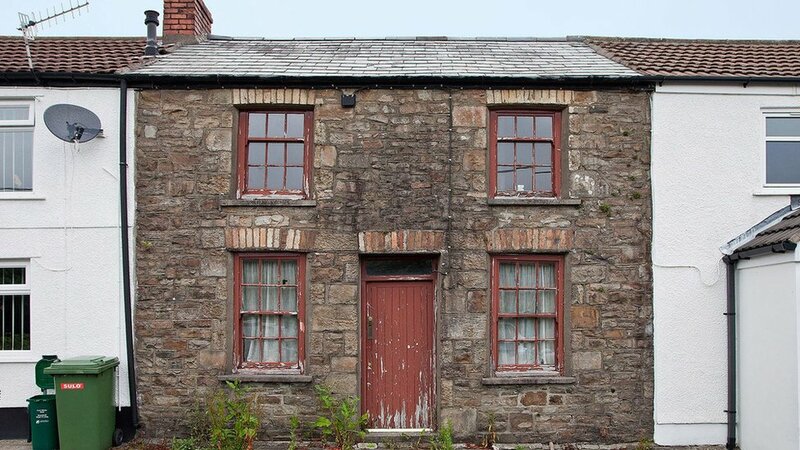 The Cadw building will also become a learning resource for those who work or live in traditional Valleys housing in Wales. The project aims to promote understanding of the importance of retaining the character and history of Valleys housing. It will also provide practical advice on technical issues such as thermal performance to demonstrate that keeping original features in good repair really does pay, environmentally and economically. This blog is about buildings in Wales. Its about looking at the common place and often overlooked as well as the better known structures such as castles and churches.